Although the number of patients coming for treatment with symptoms of Nipah virus infection has gone down, Kozhikode Collector U.V. Jose has banned till May 31 all public meetings and even training courses, including tuitions, to avoid assembly of people. 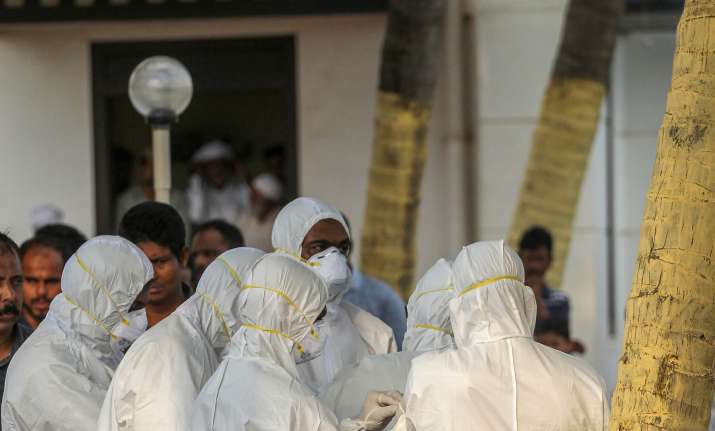 With the Nipah Virus spreading its wings in Kerala that has led to the death of 12 people so far, Kozhikode Collector announced banning of public gatherings till May 31. The University of Calicut has also postponed all examinations listed for this week. Nipah Virus has so far claimed 12 lives in Kerala till now, while a fresh case of a nursing student in Kozhikode testing positive has surfaced. Death of Moosa was confirmed at a private hospital where he was being treated. Earlier this month, his two sons and another relative also died due to the virus infection. They were the first cases of Nipah reported last week. The University of Calicut on Thursday announced postponement of all examinations listed for this week. 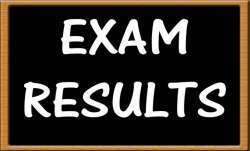 A public service examination has also been deferred in view of the current situation in the district. The Health Department said on Thursday that a total of 160 samples were sent for testing to Pune. Of the 22 results that came, 14 are positive. Adding to the 14, a woman nursing student at Kozhikode is reported to have become the latest person to test positive for the infection. The Kozhikode Medical College has 136 patients and nearby Malappuram district 24 patients under observation. The authorities have, in the meantime, come out with a protocol to be carried out when the last rites of Nipah victims is performed. While cremation is favoured as the best method to stop further spread of infection, in case families opt for burial, the body would have to be covered in a polythene bag and then put into a deep pit. A large number of medical professionals and health experts deputed by the Centre, state government and the private sector are working in Kozhikode and Malappuram districts. They are meeting those under observation, besides running awareness programmes, an official said. Malappuram District Medical Officer K. Sakina told the media that the only thing the people in the district need to do is to follow the directions of the health authorities. "Things are under control. What is being seen now is that if anyone has fever, there is a panic and when a patient tests positive, neighbours and relatives of the affected also turns panicky. "We have opened a control room and we are always on the alert and we are doing everything possible to keep things under check. Therefore, no one needs to fear, instead they should cooperate with us," said Sakina. The authorities in Kozhikode on Thursday decided to take action against two staff members at the state-owned crematorium here for not cooperating with the conduct of the last rites. Transmission of Nipah virus takes place through direct contact with infected bats, pigs or other Nipah-infected persons. Amid fears that Nipah virus has spread to other states such as Karnataka and Himachal Pradesh, Minister of State for Health Ashwini Kumar Choubey today asked people not to panic, asserting that it was a "localised" occurrence in Kerala, where the number of deaths due to the outbreak has reached 12. Amid reports that dead bats have been found on the premises of a government school in Himachal Pradesh and two people suspected to be infected with the brain-damaging Nipah virus are under treatment in Karnataka, Choubey said the samples of dead bats found in HP have been sent to the National Institute of Virology (NIV) for investigation. "Samples of dead bats have been sent for testing to NIV, Pune, to ascertain the reason behind their deaths. Without laboratory reports it cannot be said that these bats have been killed by Nipah virus," Choubey said, adding that he had spoken to the Himachal Pradesh administration over the matter. In the wake of Nipah virus cases in Kerala, the Indian Council for Medical Research (ICMR) has written to the Queensland government in Australia asking it to provide an antibody developed there to test if it can "neutralise" the virus in humans. "We have asked them to give their monoclonal antibody for conducting a test in India to find out if it can neutralise the Nipah virus in humans. "In Australia, it has only been tried in vitro (happening outside the body in artificial conditions, often in a test tube) and has been found to be effective. But it has not been tested on humans," said ICMR Director General, Dr Balram Bhargava, while clarifying that it will not lead to creation of vaccine. ICMR is the apex body in India for the formulation, coordination and promotion of biomedical research. "We are preparing a dossier on what will be methodology and what would be the regulatory process so that we can fast track the process," he said. According to Dr Bhargava, Australia is ready to share as it will help generate data on the efficacy of the antibody. "It is not yet sure how much it will be effective," he said, adding the infection caused by Nipah virus has a high mortality rate (50-70 pc).